Everyone knows the sheer dedication and commitment from our coaches, athletes and match officials that makes curling the sport it is today. However, these impressive individuals don’t always get the recognition they deserve, so from time to time, it’s nice for these people to be acknowledged by those outside the sport. 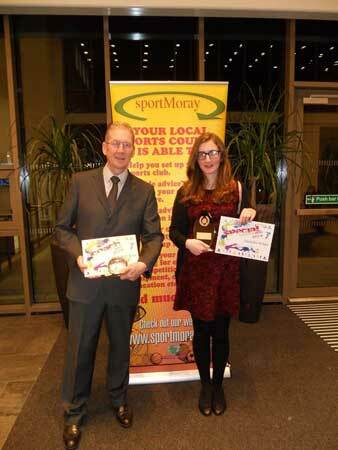 That’s why we at Moray Province Curling Development Group are pleased to announce that Watermans has featured our very own Campbell Ross as one of their founding Unsung Sporting Heroes. This campaign looks to honor people in Scotland that are making a huge difference to sport at all levels, and Campbell’s contribution to Scottish curling is a perfect example of this. From leading the coaching team to deliver weekly sessions, to supporting youth players in both local and national competitions, we’re very proud that Campbell has received recognition for his work. If there’s someone else you think should be featured on the wall of Unsung Sporting Heroes, you can submit your nomination with why you feel they deserve to be recognised. Along with Campbell, they’ll then be entered into a competition to win one year’s sponsorship from Waterman’s. In recognition of his dedication to training youngsters, Campbell received the Grampian Young Persons Coach of the Year at Sport Scotland’s 2016 Coaching, Officiating and Volunteering Awards. On speaking to Campbell he was very pleased to have been nominated as one of Waterman’s Unsung Sporting Hero’s however was quite insistent that curling is not only a team game but a team coaching program too. An unsung hero cannot do it alone in curling and Moray is extremely lucky to be blessed with plenty of unsung hero and heroines. The objective of our Development Group was to bring the sport of curling to Moray, delivered by curlers who were also brought into the world of curling through past unsung heroes and heroines. They now wanted to give back some of their time and knowledge. This commitment is to open up the sport to all ages and abilities and we are pleased to see people from 9 years old up to 90! Campbell says that the Moray area is full of sporting talent and proud of the achievements across the boards but extremely proud of the junior curling campaign which has grown exponentially over the last five years. With last year’s under 21 Scottish Junior Champion, a runner up and two other finalists and this year’s runner up, I feel the potential for even more Scottish level curlers is not far away. To curl, one must enjoy it ,to coach, one must embrace it, feel it be positive and most importantly, make it enjoyable. Once they reach that good factor, you become an unsung hero and be proud of it.